The Value Of DIY Is Greater Than Just SavingsEliminate The Muda! Long before the recession and the resurgence of frugality, DIY was widely practiced. In days long past there was little choice. In the early 20th century you could not run down to the local grocer to pick up a rotisserie chicken. For those fortunate enough to have plumbing or electricity in those early days, plumbers and electricians were not readily available. Professionally crafted fixtures and furniture was truly a luxury, more than likely if you needed a table or a chair bench you made it yourself or went without. People and communities had to be self sufficient, they had no choice. This article was featured in the Carnival of Personal Finance hosted by Budgets are $exy. Please check out this carnival for many other great articles about personal finance. Today, you can find dozens of people walking through the local hardware store picking up odds and ends to perform their own maintenance or repairs. More often than not, these conventional DIY activities are no more than swapping parts and pieces. Anyone with basic tools can install a new faucet or replace a receptacle, but how many are really capable of creating something new, from scratch? If you have spend anytime floating through the personal finance blogoshere you may know at least a few that are capable of crafting beautiful and functional creations. Paul from Fiscal Geek created these fun bunk beds for his kids. Did you have bunk beds when you were a kid? Not me. My father made what we called box beds because that is what they were, giant plywood boxes with a mattress on top. How cool would these be. Hang a sheet over the side and you have an instant fort. Climb on top and you are in the crows nest of a pirate ship or at the helm of the Enterprise. Check the price of bunk beds and you will find they run upwards of $700 and more. Yet for a few hundred dollars and several hours of sweat you can give your kids a childhood of memories. Joe at Personal Finance By The Book is a handyman as well. Like me he works on his projects in his spare time. Doing so allows the DIYer to focus on quality. Who wouldn’t love to have the stately gas fireplace in their home? By building this fireplace himself, Joe estimates he saved over $1000. A project like this requires just a few more than basic tools but it is well within reach of the average homeowner. No doubt on these cold winter days this fireplace provides plenty of warmth for Joe and his lovely bride to snuggle up and spend a relaxing day with a glass of wine. Here is another great project for the kids. You can almost see the smile on a child’s face as they rock their days away dreaming of being a cowboy, playing polo or performing in a circus. This kind of project is something that a child will be able to hand down to their kids and their kids again. Truly an heirloom. 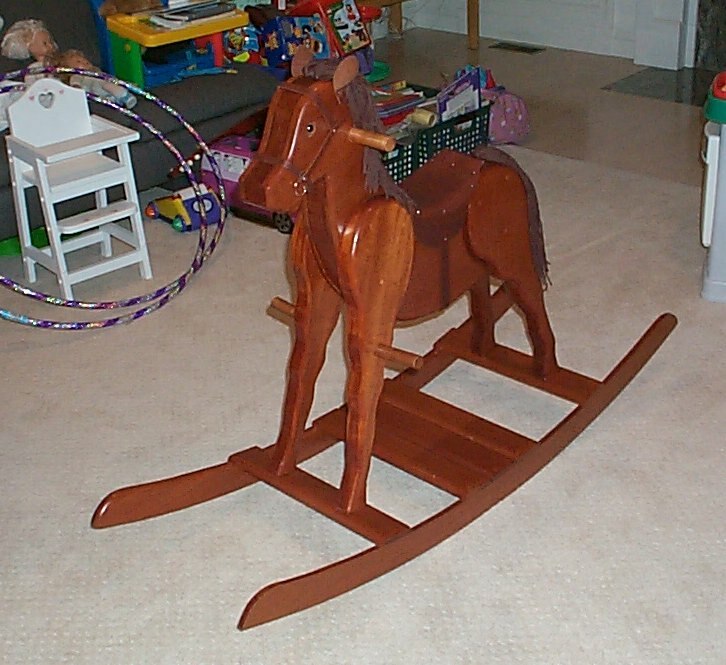 You can find a basic wood rocking horse for a couple hundred dollars. For the truly exotic hand carved carousel rocking horse you could easily spend thousands. But how much is a rocking horse made by your father worth? Like the old Visa commercials… Priceless! There is no doubt, custom crafting one of a kind pieces of furniture and accessories can be expensive. They may also require an inordinate amount of time to complete. For something like Fiscal Geeks bunk beds in may only require some basic hand tools or a few inexpensive power tools. Even Joe Taxpayers rocking horse conceivably could be created with only a few more tools. For most home hobbyists the range of tools quickly expands and the costs of some can skyrocket. Admittedly, I have accumulated over $10,000 in equipment over a 20 year span of time. Is it possible for this kind of “investment” to be worthwhile? There are several advantages that the extreme home hobbyist has. Experience – This is the greatest advantage. Experience building, finishing and repairing is easily transferable to a wide range of opportunities. 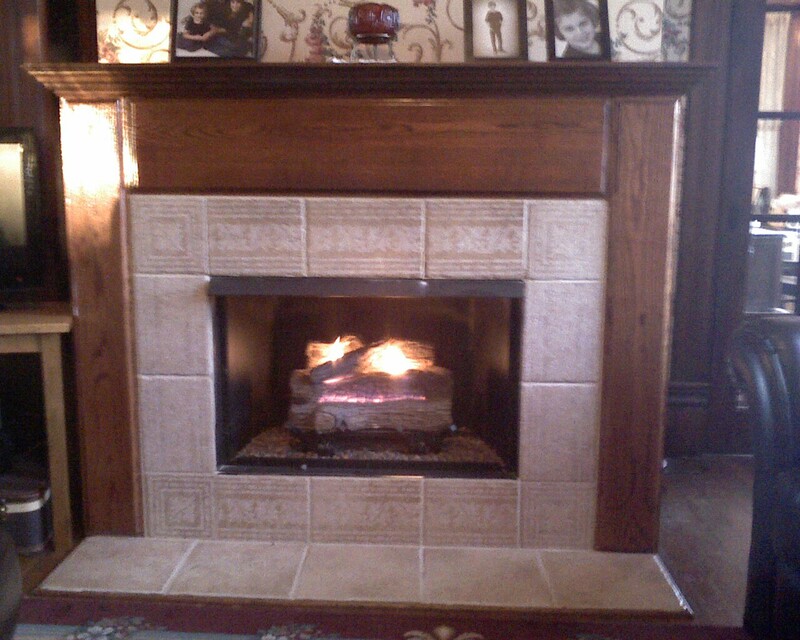 Skills gained running gas lines for fireplaces can be used renovating kitchens. Knowledge of materials, their strengths and weaknesses, will be applied to a wide variety of personal and educational projects. Understanding of tools and their application promote efficiency on future jobs. Financial Savings – While not every project pays, in many cases even factoring in your investment of time, commercial equivalents often cost considerably more. Quality – Beyond any up-front savings I have found that commercial equivalents often fail to meet the same level of quality as homemade products and furniture. When was the last time you even saw a piece of furniture that wasn’t made of inferior chipboard that was simply covered in a laminate? They are available but they are rare and extremely expensive. Customization – When you build your own furniture, fireplaces or even toys you have the ability to design and build to meet your unique specifications. You are not limited to the standard size and options available from a factory. When building kitchen cabinets, if you want a spice rack/cabinet over the stove, it is yours. Do you want a rocker 3″ taller or shorter than what you see in a store, just do it! Is your preference a dresser made of zebra-wood? It will be pricey but doable. Longevity – One aspect of hand crafted wooden furniture and items that I love are their timelessness. A tree left alone will live for 50-100 years and then die and rot. A well crafted piece such as this rocker may last hundreds or even thousands of years. Yes, thousands potentially. Last year I admired King Tut’s chair, nearly 3,000 years old! There is no reason Joe Taxpayer’s mahogany rocking horse, for example, cannot last just as long if properly cared for. Enjoyment – People often write of the need to spend time on worthwhile activities. Ideally every activity itself would be a joy but work is often just that, work. However, there are few things as rewarding as seeing your hard work pay off, even if you didn’t enjoy the work itself. If you happen to love the process of building and finishing, than consider that a bonus! When you factor in the quality that you have control over and your ability to build to your own specifications a project created at home can compete financially with much of what is available on the market. Add to this the sentimental value of an item made by Dad/Mom/Brother/Sister/Friend and you have already crossed into the realm of priceless. From a practical standpoint however and considering the long-term value of building your knowledge and skills that can be used over a lifetime, you will find the investment will, by far, pay for itself many times over. What have I enjoyed for my $10,000 investment and many hours? Here are just a few of the more significant projects. The kitchen renovation has become an investment in the market due to the fact we sold that house. The remaining pieces are all in use and represent cherished pieces the family will enjoy for decades. From the outside I have had friends and others question the sanity of this hobby, but when I look at the financial reward I question the sanity of the non-DIYers. Many frugal people make their own laundry detergent, toothpaste or meals from scratch, while more extreme, this is really no different. How about you, what projects have you tackled at home? Have you renovated a room, built an addition or made your own wedding invitations? Please leave a comment below and share what you have done! Much thanks for including my project here. As JoeTaxpayer, I usually focus on my PF blogging, but Twitter has opened the conversation to other aspects of my life, my family and other interests among them. Glad to be able to share this part of me with your readers. I’ve done all kinds of home improvement projects but nothing as involved as your kitchen renovation. On several projects I would split the work with a contractor by purchasing the materials myself and doing a percentage of the work. I bought carpeting and flooring from a textile mill in Georgia, had it shipped to my home, and paid a couple of installers to put it in for me. I removed and disposed of the old flooring and did all the clean up myself and probably saved 40% over having someone do all the work for me. My previous neighbor paid someone $1,200 to put in a sidewalk from his driveway to the front door of his house and they used plain brick and did a sloppy job on the grouting. I was able to do my own sidewalk with custom bricks and a wider path for $400 and a few evenings worth of labor. I then added wood railings to my porch and a brand new door with upgraded hardware which along with some landscaping I did greatly added to the curb appeal of the house. All of my DIY projects enabled me to sell the house for $60,000 more than I paid for it 5 years earlier, and I sold it at a time when there was a lot of brand new houses on the market to compete with and the market was starting to cool down by then as well. I think I put less than $10k in the house and then got $50k back for my investment. Great post cool to see some fellow PFers work. Yes those loft beds I made could totally be made by your average diyer. I ran the 2×4’s and 2×6’s through a jointer and planer to give them a nice finished look but you can always forgo that step if you don’t have the equipment. Thanks for including me! .-= Paul @ FiscalGeek´s last blog ..Bond Week Begins – What is a Bond? =-. Thanks so much for the link! I loooove those bunk beds!! I love DIY people because I’m one of them. It can be a fun and rewarding adventure that will enable you to save a ton of money. Very good write up and those are great projects you did. DIY is in my blood because my Grandfather was a self-employeed painter/carpenter for over 50 years. I started learning the trade when I was 10 years old. Those are lessons at will last a lifetime. .-= Jeff´s last blog ..Sunday Morning Clicks – Anniversary Edition =-. Hi, I was re-directed to your article by joetaxpayer.com’s site. Hear hear to DIY. For me and over about a decade, I have become an avid Honda Civic DIY maintenance and repair person. I do everything–timing belts, brake re-lining, all fluid changes, diagnosing SRS lights–except alignments. It is not just the savings in money. It is now also therapy for what life throws at one, creating some order out of the disorder, say, of taking care of an aging parent. I also thrive on the education and enjoy exchanges with others at Honda fora, on both applied topics (the best rusty bolt buster) to estimating average pressure in a car engine cylinder. Thanks for including my fireplace in this post, but now I want to see pictures of some of your creations. How about the purpleheart & ebony table or the wooden-geared clock? .-= Joe Plemon´s last blog ..Expect Rate Hikes Even After the New Credit Card Act Takes Effect =-. I am a DIY landscaper. I do small jobs for extra income. I’ve had an interest in this for 20 years. Looking forward to doing some things on my own home this spring. @JoeTaxpayer – A core concept I use in my PF life is that everything and I mean everything we do costs money, saves money or makes money. Your rocking horse is another example. Your daughter has something really special she will be able to hand down to your grandchildren. The sentimental value is far greater but there is a PF benefit as well. @David – Thanks for sharing more examples of how DIY can pay big dividends! So did you give the neighbor a hard time for his crappy sidewalk? @Paul – Those bunk beds look so cool I want to climb up and play pirate! Your kids will have many great memories to share with their own. You are a great dad! @Mrs. Money – Your welcome, I’m twisting my wife’s arm about the toothpaste as we speak. She is not quite as adventurous but I’m not giving up! @Jeff – For DIYers such as ourselves, I wished we had the forethought to add it all up. Not only did you learn from your Grandfather but you also gained some great memories. That is what makes life really special! Maybe we should start a PF/DIY Carnival, want to join? @Elle – You go girl! Saving on car maintenance and repair can add up big! Can I call on you when we need help with our Accord? @Joe – Pics are on the way. Thanks for participating! I bet you are getting your money’s worth in this weather! @Ken – Now I save a ton on landscaping by doing nothing 🙂 though my yard looks like it too. It is definitely an area of opportunity for me! Good luck on the home front this spring! Hmmm, most of my modern DIY project involves repairs to washing machines, dryers, kid’s toys and our furnace. When I was in college, I rented a room with some buddies, but the room was tiny, so I designed and built a loft for the room. It was like the bunk beds above, but instead of a twin mattress, it was designed for a queen size mattress. When we initially built our current home, we did put in our own yard, which saved us a lot of money. I definitely think that you are right on this matter. Most people have lost the ability to do simple tasks that our parents and past relatives could do without even thinking much about it! Sometimes I let my thoughts drift and I wonder if I could make it back in colonial times, with my present skill set… We, as a society, are now very dependent on companies that make our food, appliances, clothes, etc. Kind of frightening in some ways if you think about it (which I’m sure you have. :))! LeanLifeCoach, why am I not surprised you own a Honda? 🙂 You bet, re emailing me seeking Accord help. I will get you in touch with all the good folks at honda-tech.com , alt.autos.honda, etc. Here’s to the fun of DIYing. Wow, very cool guys! I once rolled out new grass in my backyard, with my own landscaping handiwork, but the grass all died and the landscaping isn’t that good. Oh well! The wood work stuff sounds soothing. .-= Financial Samurai´s last blog ..Do “C” Students Deserve “A” Lifestyles? =-. Mostly landscaping thus far, but I already have the blueprints made up in CAD for the house I plan on building myself whenever I decide to settle down. That may seem crazy, but my dad and I built a house ourselves in the past… everything besides the pouring of the basement and the major plumbing -(seems odd to think about since I haven’t been there in forever). Anyways, in the process made over $100k in equity which was borrowable to turn into further investments since it was at a low interest rate. Yet another reason I love real estate, you can literally build your way to wealth. Other than that… the whole web development thing is kinda the focus at the moment and I saved a ton of money teaching myself a valuable skill so kinda proud of that… two years ago didn’t know anything about web design, SEO, or blogging. I’m not too familiar with actual woodworking, what piece of equipment do you use the most? @Ryan – What wonderful practical skills you must have learned from the house building experience! My wife and I also have the dream house in mind. The big question is where? I’ve traveled to 47 states and still have not found the perfect place to retire. When it comes to tools, name it, I’ve probably got it. However my favorite over the last 4 years has been my two lathes. Turning a bowl can be a zen like experience. @ FS: Ha.. Good experience. Did you aerate the ground beforehand? How often it you water afterwards. Transplanting grass is such harder than seeding grass. Better luck next time! @ Ryan. Baller… Already have CAD plans? Have you run the BIM analysis yet? @ LLC. I’d like to add “Meaning”. This could go under Enjoyment but from the other end of the spectrum. When you are the recepient of a quality, meaningful, DIY gift – it will be much more cherished than a normal purchased gift. My favorite part of the DIY project? The pride of a job well done when finished. There is nothing like looking at the project afterward and thinking (or actually saying), Yeah, I did that! @FinEngr – Your right. I should have highlighted that specifically as an ROI. Unfortunately I only eluded to the sentimental value in a piece handcrafted. Paul’s bunk beds for example, you know, will give his kids hours of enjoyment not as beds but as playthings. You cannot put a price on that! @Awareness – I am rarely satisfied with my own work. But in the few cases that I was really proud of what I accomplished, there is nothing that compares. My dad was born in 1943 in WV. His grandfather was a coal miner who died in the mines, his dad was a beer truck driver who helped his mom out since his dad wasn’t around. He was the third of 6 kids. Obviously they didn’t have much…and certainly they had to “make do.” I was born when my dad was 37 in 1980. So although I’m only 29, I have been told many times over about how old fashioned I can be. My dad definitely instilled the do it yourself or do without attitude. I bought my first house near the end of 2008. With my dad (now 66) and my cousin’s (in his 40’s) help we have pulled up carpet and replaced it with hardwood flooring, remodeled the kitchen, installed light fixtures etc. I live in the metro DC area and many of my coworkers couldn’t believe that I would even do the painting myself much less help lay wood flooring (I’m a girl)…but honestly it saved me thousands upon thousands and looks just as good if not better than hiring someone to do it. Plus you appreciate it more…you know how hard you worked and definitely make sure you take care of it. If you are in the D.C. area you’ve got to get out to Hayfield VA to the Dynasty Restaurant for some Crystal Chicken. I’ve literally scheduled 4 hour layovers at Dulles just to have my lunch there! Utility Bills – This one is always the most obvious, but when you take into consideration that the average household spends over $200 a month to power their homes, that works out to roughly $2500 a year.